This is one impressive dry slide! Kids have so much fun just climbing and sliding and this is always one of the big hits of the party. We will take care of all the details so you don't have to worry about anything on event day except having fun with your kids and guests. 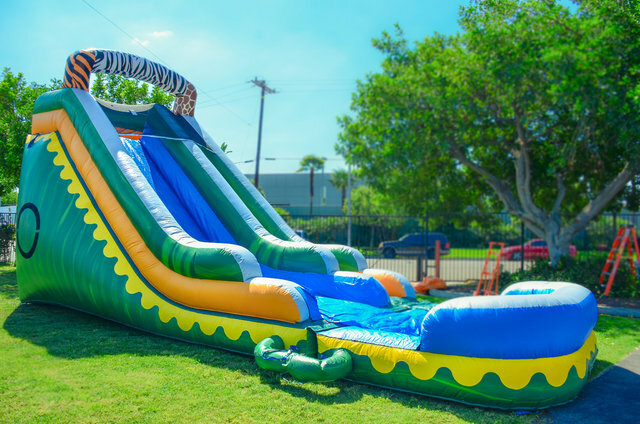 This version does not include the pool and works great as a dry slide.